Welcome to your competition's worst nightmare! 5. Make you ask yourself, "Why didn't I do this in the first place?" The choice is yours: you can (a) continue giving your presentation to one person at a time, or (b) begin giving your presentation to tens of thousands of people at a time. With a lot of work and rejection, the old one-on-one method may someday make you rich. But with little effort and no learning curve I can give you an insurance selling system that can make you wealthy almost overnight. Here's another choice for you: you can (a) continue giving your presentation to people who don't like you, don't trust you, and don't want to talk to you, or (b) begin giving your presentation to raving fans who call you out of the blue to ask for an appointment. Picture yourself appearing in your own custom scripted, half-hour Cable TV Infomercial, the undisputed expert in your field, speaking directly to your ideal prospect in a soft pre-sell interview format. Your viewing audience is selected with the accuracy of a surgeon’s hand by the cable channel airing your show. Once your TV Infomercial Insurance Selling System leaves our production studio, you air it as often and as many times as you like. You target your show to attract health, life, annuity, home, auto, any kind of insurance prospect. The average cost for prime time viewing (7:00 PM thru 11:00 PM) on leased access cable channels in most markets is an unbelievably low $150 to $200 per half-hour program. This is less cost-per-thousand exposure than you spend annoying people with junk mail or telemarketing. If you will let me, I'd like to tell you the most bizarre secret I’ve learned in my 40 years of sales. I’m just going to toss this out to you, and when you hear it you’ll think, “Oh, I already know that. That’s just too simple to work.” Most people dismiss it as being too simple. Maybe that’s why most insurance agents (90%) fail within eighteen months. Here’s my secret: People buy things from people they (a) like, (b) admire, and (c) trust. What’s more, people can’t help but like and trust the people they admire most. In fact, the more they admire you the more they want to buy from you. Therefore, if you have an insurance selling system that positions you as the “likeable, trusted expert” in your field, people will be irresistibly drawn to you and want to do business with you. You’ll be flabbergasted to know that you can become the “expert” in your field much easier than you think. Also, there are probably few, if any, insurance agents promoting themselves as expert in your local market, and fewer than few with their own TV Infomercial Insurance Selling System. This prime location “real estate” in your hometown cable channel is probably yours for the taking. 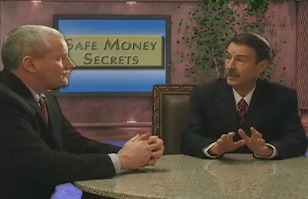 When you appear on TV you set yourself apart from all other insurance agents. Your image is larger than life. After all, only experts are good enough to appear on TV. Your image skyrockets because you rise above the dog-pile of telemarketers and junk mailers fighting for leads. Your prospects come to you, ready to hear more, willing to take your advice, able to do business. You’re the expert. You’re on TV! You come to our production studio in Tucson, Arizona, where we do all taping, editing, pre- and post-production work. Our job is to make you a Star. We use only top professionals from camera operators to makeup artists. I’ve been in the insurance business for decades and understand the problems and frustrations producers go through in the field. This is no ordinary insurance selling system. We go to great lengths to separate you from the pack of agents your prospects typically send packing. The 30-minute interview format is proven to be the most credible, convincing and friendly TV show format. You have time to delve into concepts in a way your future clients can really understand. You reveal your personality in an audio-visual dimension as an invited guest in their living room. You’re one of the family. You show how you are different, better, more knowledgeable, more comfortable and caring than other agents. We begin with a pre-production interview session to identify and rehearse 10 to 20 key questions and answers. When you are ready, we roll cameras with me interviewing you in an easy, conversational dialog of the same familiar topics. We edit out awkward pauses, tongue twisters or mistakes, making you a polished professional, expert guest. If you need an insurance selling system that targets a certain demographic or client type, i.e. retired Seniors, high-risk drivers, new homeowners, small business owners, we will flavor the show to cover topics of interest to them. You’re not pitching The Clapper here. Your TV Infomercial Insurance Selling System and everything about it is tastefully produced, professionally orchestrated and smacks of the high quality of an Oprah, Dr. Phil, or Larry King Live show. Commercial leased access (CLA) provides a means of airing your TV Infomercial Insurance Selling System on cable systems at a fraction of the cost compared to regular commercial advertising. Thanks to cable deregulation, the Federal Communications Commission (FCC) mandates that cable operators set aside a portion of their channel capacity for leased access. The price for CLA is also determined by a government-controlled formula, which results in half-hour blocks of airtime at wholesale prices. CLA advertising rates usually run between one-half and one-fifth the cost of regular advertising rates. We included with your 30 minute TV Show Insurance Selling System a professional media analysis of cable operators in your market, plus tutorials, sample correspondence and simple step-by-step procedures for you to take advantage of commercial leased access with cable operators in your area. The national average cost for a half-hour prime time (7 PM thru 11 PM) cable TV program is between $150 and $200, with larger markets more, smaller markets less. You may want to begin running your show five nights per week to see how it pulls, then adjust the scheduling as your need for qualified prospects dictates. You may also want to experiment with different scheduling to find which time slots pull the maximum responses. 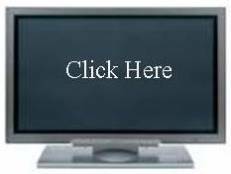 Another way to get more bang for your marketing buck is to upload your 30-minute TV Infomercial Insurance Selling System onto your website. Visitors to your website can get to know you in a way that shows you as credible and professional, yet an agent who is personable and approachable. You may also want to order our Special 500 DVD Package. We dub your show onto DVDs with custom labels for you to use as client leave-behinds, referral generators, or the ultimate “drop-dead cool” business card. Our fee to produce your custom half-hour TV Infomercial Insurance Selling System is less than you might imagine. While the industry low average runs around $100,000 and well worth the investment, ours price tag is $9,997 - well worth the investment and proudly beyond the reach of the lookie-loos. Our use and knowledge of green screen technology makes this rediculously low price possible. The only option is the Special 500 DVD Package for $1,000, bringing the total to $10,997. The above price assumes a production similar to the sample show on this page. However, I realize your needs are unique. So are my solutions. Call me to discuss your project and quote a production fee no matter how much you wish to vary from our standard format. The three most important things about real estate are location, location and location. Once a prime location is gone, it’s gone. There is prime real estate on your local airwaves and it’s yours for the taking. But once another agent claims expert status in your field and takes your cable TV station and time slot, it’s gone. My Hurry-Up Bonus is a $1,000.00 incentive. For a limited time only, to get you to say, “Yes, Gary!” I will toss in the Special 500 DVD Package – absolutely FREE! Okay, I’ll pay your round trip airfare to Tucson, up to a maximum of $500. But that’s it! No more Mr. Nice Guy. I’m done. Call me now for your own TV Infomercial Insurance Selling System, or fill out and submit the form below before I come to my senses!